Ostello Bello is a chain of hostels in Italy and a Myanmar (winner of Best Chain of Hostels in the world 2019). “This isn’t a hotel”, it’s much more than that. Ostello Bello is a home for everyone, not only a safe haven, but also a warming neighborhood for exploring new worlds, and experience the classic Italian hospitality made of a plate of pasta and the art of sharing. The communication direction of Ostello Bello has always been fresh, fun and spontaneous. I was asked to collaborate for the realization of a series of graphic illustrations to be declined on different materials, both offline and online. 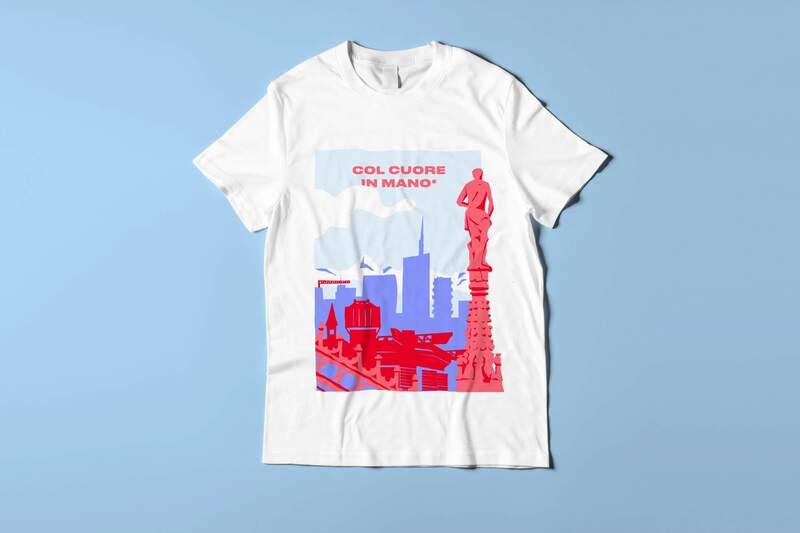 For the realization of their branded merch, I made illustrations that could represent the cities of Milan and Como and a graphic that would ironically try to fight stupid prejudices. I also created graphics and illustrations for their social media account under the creative direction of Anna Magni.